What separates most kitchen knives from each other? At ShopCookware, we like to believe that it is the company they keep. Knife blocks store a collection of knifes in one handy spot, usually an attractive piece that is lovingly placed on display in the centre of your kitchen. The knife sets we stock are of the highest quality, yet are still suitable for any budget and any kitchen. Never place your knives in a dishwasher regardless of what the advice says on the care guidelines. Get in the habit of hand washing your knives in hot soapy water and immediately drying and placing back in its sheath or block. Never cut on any surface other that wood or plastic, glass chopping boards & stone chopping boards are a NO NO. You will blunt and damage the blades or even chip it. Only sharpen the knives with the recommended tools, sharpeners and at the right angles. If in doubt please call us for advice and we will be delighted to show or advise you. Never Never use a sharp pointed knife to open a can of any sort. You can cause excessive pressure on the tip causing the knife tip to snap and rocket dangerously into the air. Following this four simple steps will ensure your knife block or knives will be part of your home for many years to come. The knife block keeps your most trusted knifes in one place, safe from rust and little fingers that may want to play with them. Once organised and correctly stored in one of our beautiful sets, your knife block set will begin to pay for itself. Quality, durability and a reliable place to store your knives; we sell a knife block according to the needs you require. Free up space in your drawers with our collection of sturdy knife blocks. 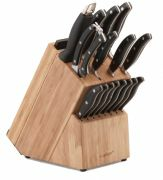 Let’s begin with the Henckels Professional seven piece Kitchen Knife Block. This is undoubtedly one of the finest collections of knives available. The Zwilling Henckels knives all contain stainless steel or synthetic handles and are great to hold, either wet or dry. They are dishwasher safe and manufactured to some of the highest degrees of knife craftsmanship known to man. 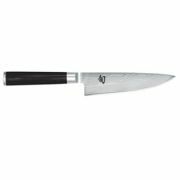 This unique set includes a paring knife, a utility knife, a slicing knife, a chef's knife, a bread knife plus the sharpening steel. For a knife block with a more contemporary feel, the Richardson Sheffield Grippi Soft Touch five piece Knife Block is the ideal option for you. The Grippi Soft Touch includes four interchangeable inserts. These inserts can be placed into the top of the knife block, allowing you to customise its looks, much like swapping the wallpaper on a mobile phone. The knives themselves are easy to use and soft to the touch (on the handle of course). 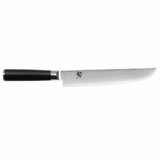 The stainless steel blade has a precision ground, tapered edge that glides through any food as if it were butter. This kitchen knife set contains a paring knife, an all-purpose knife, a bread knife, a cook’s knife and a carving knife.